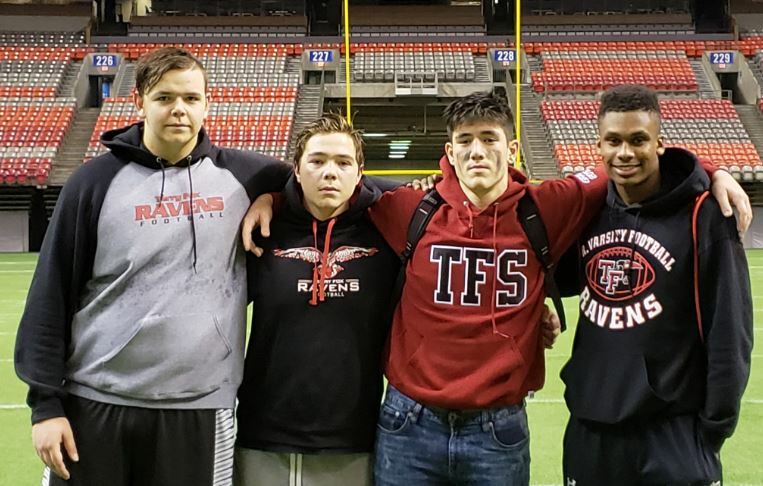 Terry Fox Ravens run to the football championship ends with a 33-0 loss to the New Westminster Hyacks. These Sr Ravens take a final trip to centre field as they say farewell to BC Place, after their 33-0 loss to NewWest. Good luck to the Mount Douglas Rams and New West Hyacks in the finals next week.